Apple has been ordered to pay $502m (£353m) to a company called VirnetX after being found guilty of infringing its security patents. Their decision is the latest ruling in a series of cases which began in 2010 and have been heard by multiple courts. Kendall Larsen, VirnetX's chief executive, said the damages were "fair" and based on the sales of more than 400 million Apple devices. "The evidence was clear," Mr Larsen told Bloomberg. "Tell the truth and you don't have to worry about anything." Critics have labelled VirnetX as a "patent troll" because it appears to depend on damages issued in patent infringement cases for its revenues. The company has also previously entered into intellectual property disputes with Cisco and Microsoft. 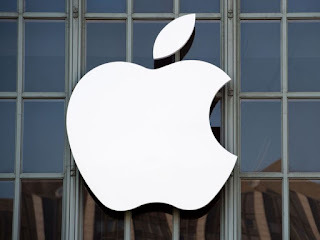 It holds several patents relating to the technology used in creating virtual private networks (VPNs) which it alleged Apple's features infringe upon. VirnetX lawyer Brad Caldwell told a court in Texas: "Apple hasn't played fair. They have taken VirnetX's intellectual property without permission." VirnetX previously won $368m (£259m) in damages against Apple, but the jury's finding in that case was dismissed by an appeals court. VirnetX share value rose more than 40% in after hours trading following the decision. Apple - which reports quarterly revenue in the tens of billions - did not show any significant share value changes. Apple did not immediately respond to Sky News' enquiries regarding whether it would be appealing this decision.